America's top central bankers are keeping interest rates steady. The Federal Reserve said Wednesday that the job market is still getting stronger, and it left rates alone after three hikes since December. One worry: Inflation has fallen below 2%, the target that the Fed considers healthy, for three consecutive months. The Fed said it was "monitoring inflation developments closely." Some Fed policy officials have warned against raising interest rates again until inflation gets closer to the target. In a statement after their two-day meeting, central bankers said they expected the economy to "warrant gradual increases" in rates. Most Fed officials expect at least one more hike this year, either in September, October or December. Fed policy on interest rates affects tens of millions of Americans, from home buyers to savers. No Fed officials dissented on the central bank's decision. The U.S. economy has grown slowly and steadily since 2009, one of the longest periods of growth in American history. The Fed put interest rates at 0% in December 2008 to prop up the collapsed housing market and bruised economy. Now that the economy has improved, it needs less of the Fed's strong monetary medicine. Central bankers said they expect "relatively soon" to begin shrinking what's known as the balance sheet, mostly vast amounts of Treasury and mortgage-backed securities that the Fed purchased during the crisis years to stimulate the economy. One question headed into the Fed's July meeting was whether central bankers would explain their timing for unloading some of those securities. The balance sheet is about $4.5 trillion. 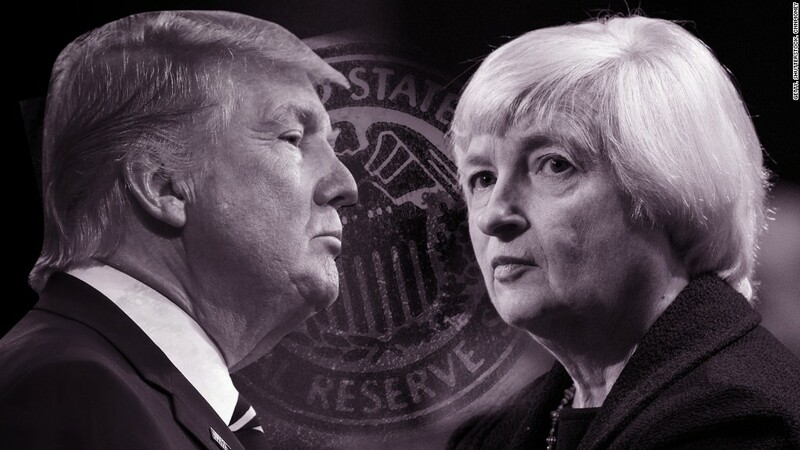 President Trump told The Wall Street Journal on Tuesday that he was considering renominating Janet Yellen for a second-term as Fed chair. He also said that he views his chief economic adviser, Gary Cohn, as a top candidate as well.